Oligofructose is a carbohydrate polymer derived from fructose polymers commonly found in plants and vegetables including onions, bananas, garlic and chicory). Oligofructose displays a sweet, pleasant flavour and is highly soluble, without raising insulin or blood sugar levels. Oligofructose has a lower calorific value (1.5 kcal/g) than normal carbohydrates due to the ß(2 1) bonds linking the fructose molecules. Oligofructose is widely used as a sugar substitute, designed to reduce the calories of foods such as ice cream, dairy products and confectionary, without affecting sweetness and texture. Oligofructose also stimulates the growth of beneficial prebiotic bacteria and contains dietary fibre. The substance is increasingly available in meal replacements, diet shakes and nutritional supplements. Oligofructose has become increasingly popular due to its ability to increase (provide fuel for) health bacteria (eg; acidophilus) which is vital for good gut health, skin health, vitality and a strong immune system. 1-4gm of Oligofructose per day can increase the number of Bifidobacteria and Lactobacillus by up to 10-fold. 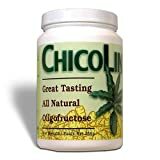 Oligofructose is designed for anyone who wants to consume traditionally sweet foods and drinks, without consuming excess calories or triggering a large rise in blood sugar and insulin levels. It is therefore a healthy way of sweetening food and drinks. Oligofructose may be useful for people on calories controlled diets, low carbohydrate diets and for general weight control. Clinically, the substance may benefit obese patients and is widely used with diabetics. Inulin and oligofructose move through the upper gastrointestinal tract and enter the large intestine intact. Because they are not broken down, they do not increase blood sugar (glucose) or stimulate insulin secretion, unlike traditional sweeteners such as sucrose (′sugar′) or honey. Stabilisation of blood sugar and insulin control are important components of weight management and health. In a double-blind trial of middle-aged men and women with elevated cholesterol and triglyceride levels, supplementation with inulin (10 grams per day for eight weeks) significantly reduced insulin concentrations (suggesting an improvement in blood-glucose control) and significantly lowered triglyceride levels (Jackson et al 1999). Oligofructose can be used as a sweetener, and can be added to your favourite foods or drinks. Because its taste is similar to sugar, it can be used as a low calorie replacement. You will also find oligofructose in many nutritional supplements, as a sweetener, palatability improver, and functional nutrient. 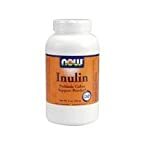 Inulin and oligofructose can help support your weight loss goals as part of a calorie controlled diet and exercise programme. 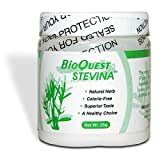 The substance allows you to consume sweet foods and beverages without the negative blood sugar and insulin responses normally associated with such food and drinks. There is also some suggestion that oligofructose may independently improve insulin and blood sugar control, thereby improving metabolic profiles ∼ a factor which may be of particular help in weight management. It will also help your digestive system resulting in less bloating, wind or stomach upsets. oligofructose can be combined with any other diet supplement. However, although the substances may be used alone, they are more commonly found as functional ingredients within other products, such as diet shakes, protein powders and meal replacements. 1. Jackson KG, Taylor GRJ, Clohessy AM, Williams CM. The effect of the daily intake of inulin on fasting lipid, insulin and glucose concentrations in middle-aged men and women. Br J Nutr 1999;82:23-30. 2. Yamashita K, Kawai K, Itakura M. Effect of fructo-oligosaccharides on blood glucose and serum lipids in diabetic subjects. Nutr Res 1984;4:961-6. 3. Roberfroid M. Dietary fibre, inulin and oligofructose. A review comparing their physiological effects. Crit Rev Food Sci Nutr 1993;33:103-48 [review].